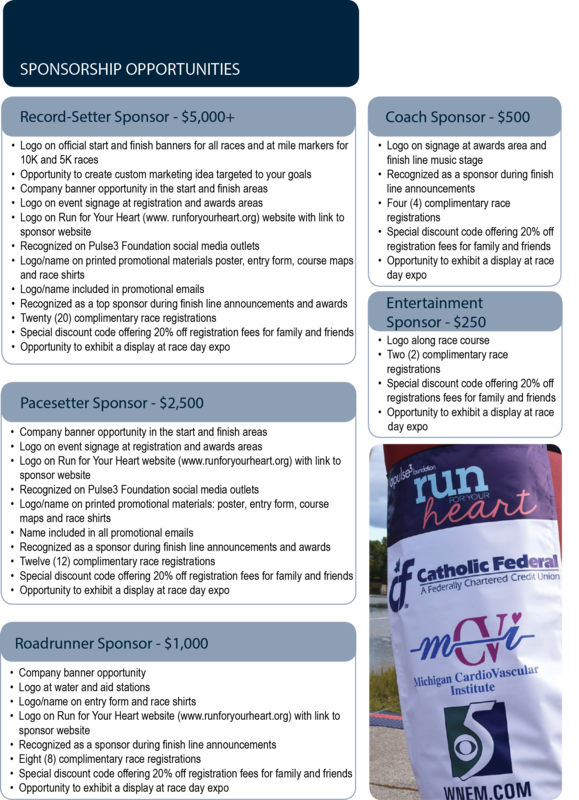 Why Run for Your Heart? 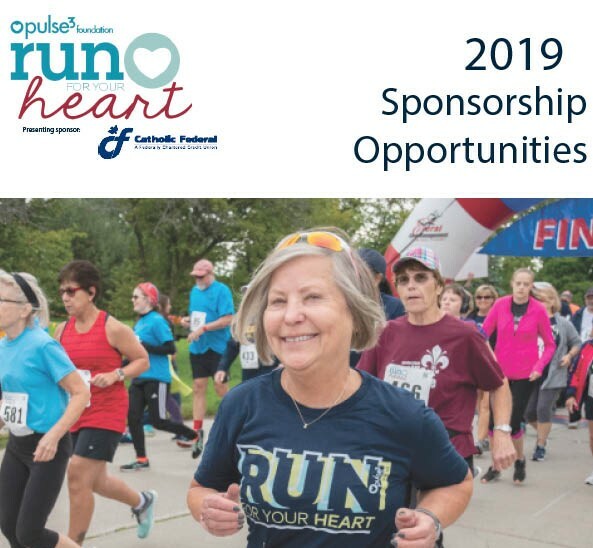 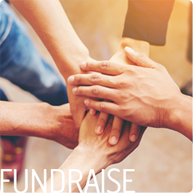 Click HERE to download your copy of the 2019 Run for Your Heart Sponsorship Opportunites today! 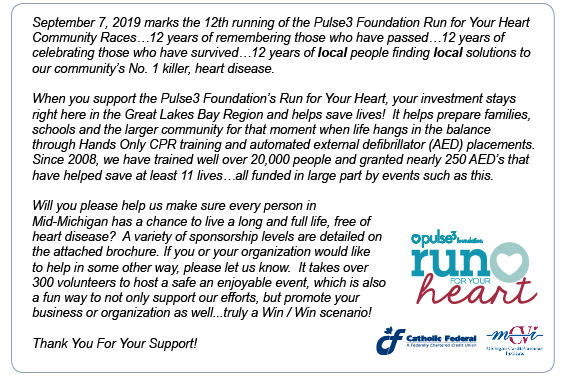 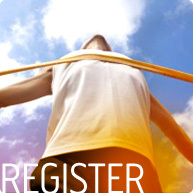 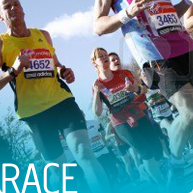 Run for Your Heart is a program of the Pulse3 Foundation.